As the largest business sector in the world economy, the Travel & Tourism industry is responsible for over 230 million jobs and over 10% of the gross domestic product worldwide. In 2006, Travel & Tourism (consumption, investment, government spending and exports) is expected to grow 4.6% and total US$6.5 trillion. Tourism is a principle “export” (foreign exchange earner) for 83% of developing countries, and the leading export for 1/3 of poorest countries. For the world’s 40 poorest countries, tourism is the second most important source of foreign exchange, after oil. 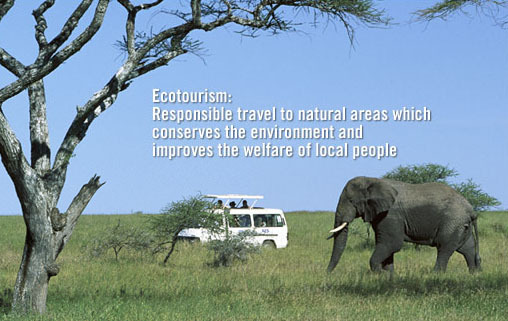 This entry was posted in Ecotourism and tagged Ecotourism, Responsible Tourism, Responsible Travel, Sustainability. Bookmark the permalink.